DOT HazMat Labels help you meet the requirements in 49CFR for P.O.P. ("Performance Oriented Packaging") labeling of hazardous material shipments. This labeling must be retained on the packaging until it is sufficiently cleaned of residue and purged of vapors. • DOT HazMat Labels have been designed in conformity to the DOT labeling specifications. • Supplied with permanent acrylic adhesive, labels stick easily to drums, boxes, and other containers. • Labels stay intact and are resistant to scratch and scruff. You never have to worry about labels falling off or the prints fading away. • You can choose economical paper labels or vinyl labels to suit different budgets. • Choose from nine different classes of HazMat labels below to mark appropriate hazardous materials. 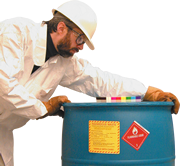 Follow an easy tutorial on what labels you need for your HazMat drum. How do you determine which label to use? What DOT HazMat symbol label to use? 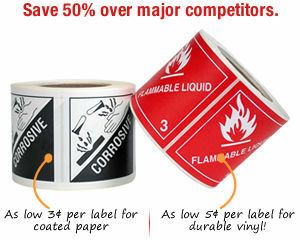 Find the web's largest selection of Hazardous Waste labels – all at guaranteed Web Best Pricing. Customize and order your HazWaste label online, in just seconds. Also find low cost roll labels. Select from hundreds of pre-printed NFPA and other HazCom Chemical Labels. These labels have describe possible hazards as well as handling, spill and safety procedures. Find both stock HazCom labels and easily customizable templates. Comply with with 2012 Globally Harmonized System requirements for HazCom labels. Find the best prices online for durable paper or vinyl GHS labels. Prices as Low as 3¢ per Label for Paper and 5¢ per Label for Vinyl! Vinyl Labels as low as 5¢ Each! Labels as low as 3¢ Each! 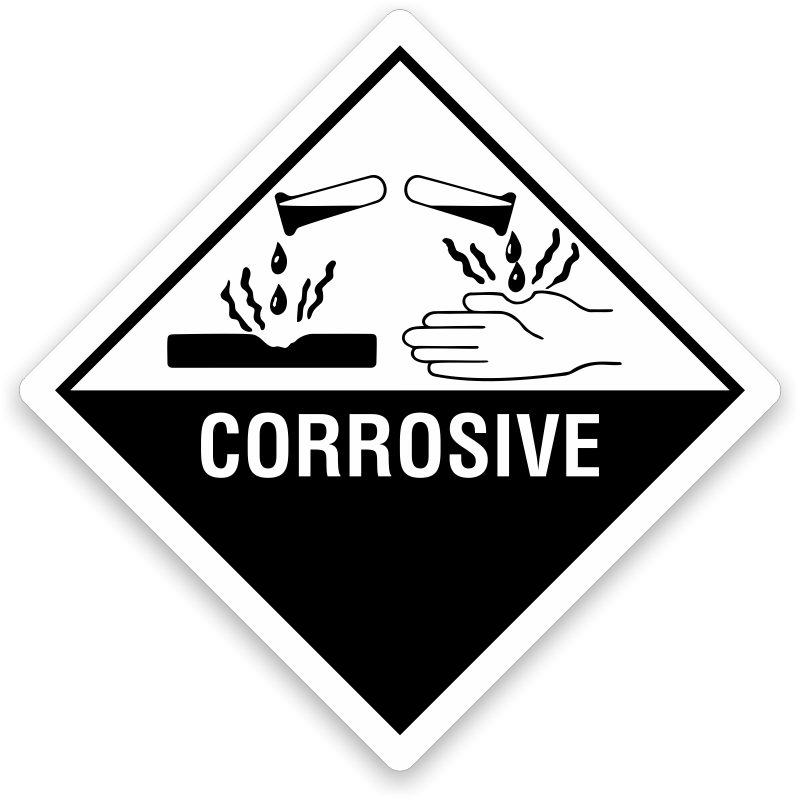 Class 8: Corrosive & Class 9: Misc.